Security is a lot tighter in Washington than it used to be. You can't simply wander around the White House in real life, but the new 1600 app from the White House Historical Association lets you scope it out in augmented reality. All you need is a buck. No, it doesn't cost a dollar. You need a real dollar bill as an AR anchor. 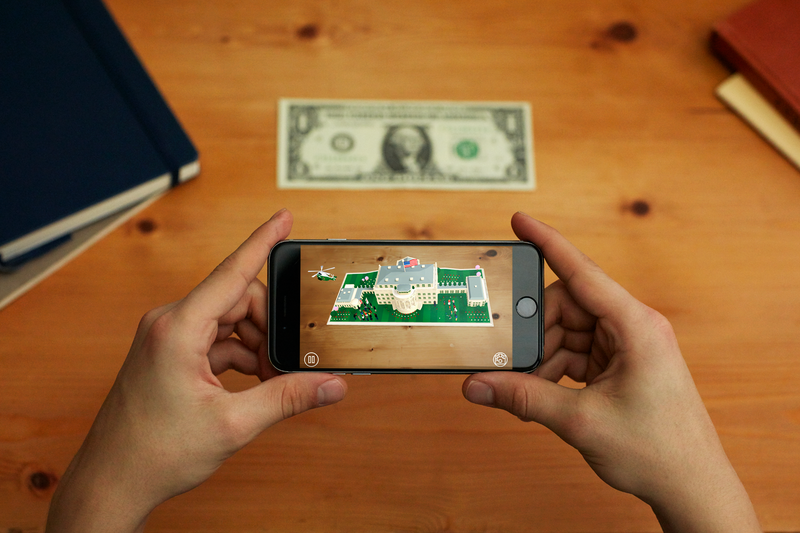 To start the app, point the camera at a $1 bill with Washington's face showing. Make sure it's flattened out so the shape is visible, and it must be a $1 bill—you can't use any other denominations. The app builds a little virtual White House right there on the bill. You can move closer, pull back, spin the bill around, and look at the happenings from different angles. The augmented reality animation is accompanied by narration about the structure's history. There's not a lot to do in 1600 right now. The augmented reality White House isn't interactive, and there are no internal areas to explore. The White House Historical Association may see fit to expand the app later, but for now at least it's good for a few minutes of fun.